Venison is the name given to the meat of game animals, particularly deer. This type of meat is leaner, richer, and finer in texture than beef and it can be used to make a flavorful sausage. 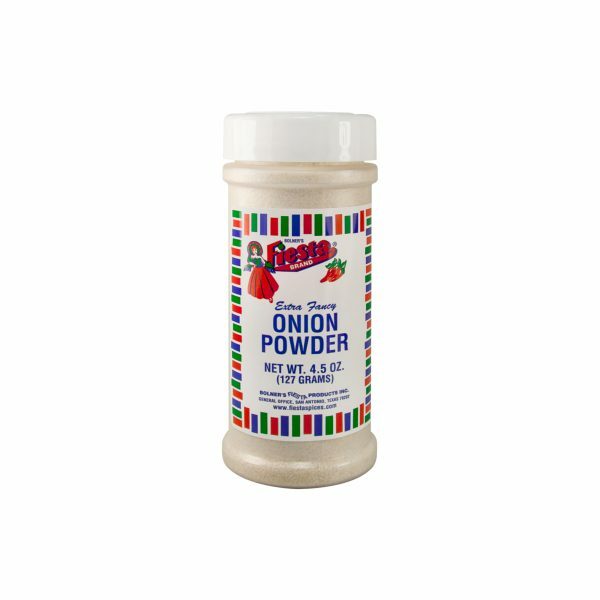 The key to making delicious venison sausage lies in the seasoning, however. If you want to skip the experimentation and cut straight to the finish line for tender and flavorful venison sausage, try Bolner’s Fiesta Bran Venison Sausage Mix. 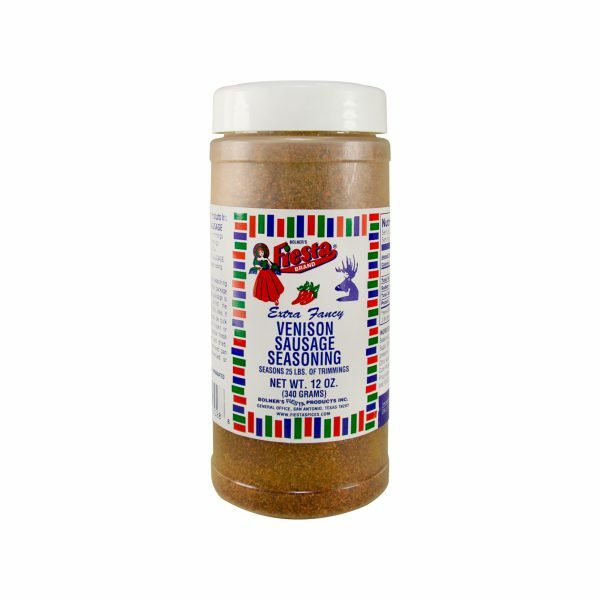 A delicious blend of salt, paprika, garlic and spices, this seasoning blend is guaranteed to make your venison sausage mouth-wateringly delicious. Simply use 12 ounces of seasoning for 25 lbs. 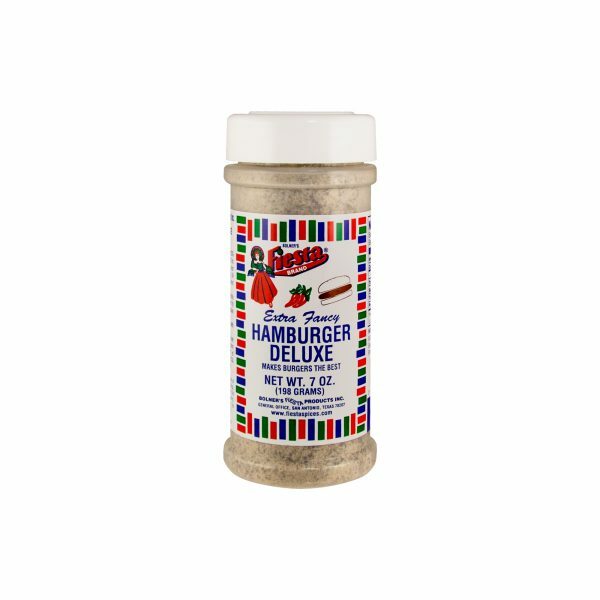 of venison or 24 ounces of seasoning for 50 lbs. of venison and prepare your sausage in patties, links, or whatever form you prefer. Salt, Spices, Paprika, Sugar, Garlic, Propylene Glycol (to preserve freshness), TBHQ and Citric Acid. Salt, Sodium Nitrate (6.25%), Propylene Glycol, Baking Soda, and FD&C Red #3. Amounts per Serving: Calories 0g; Total Fat 0g (0%DV*); Sodium: 190mg (8%DV); Total Carb 0g (0%DV), Protein 0g. *Percent Daily Values (DV) are based on a 2,000 Calorie Diet. 0g. *Percent Daily Values (DV) are based on a 2,000 Calorie Diet.